The United States and two of its allies said they could not support the draft final document of last month’s nuclear Nonproliferation Treaty (NPT) review conference because of language in the document laying out a process for convening a conference on establishing a zone free of weapons of mass destruction (WMD) in the Middle East. But supporters of the language defended it as a reasonable attempt to ensure that a conference takes place and there is progress toward establishing the zone. In remarks on May 22, the last day of the four-week-long conference at the United Nations, Rose Gottemoeller, U.S. undersecretary of state for arms control and international security, said the United States would have been prepared to endorse the rest of the draft document, covering the three so-called pillars of the treaty—disarmament, nonproliferation, and peaceful uses of nuclear energy. Gottemoeller said the blame “lies squarely with those states that were unable to show any flexibility in pursuit of the convening of a Middle East conference that enshrined the principles of consensus and equality.” Canada and the United Kingdom joined the United States in objecting to the draft document because of the language dealing with the WMD-free zone. The language in the document, which set a deadline for holding the conference, the appointment of a special representative, and consultations to establish an agenda, emerged out of intense negotiations that eventually involved Taous Feroukhi of Algeria, the conference president. The language contained elements from a proposal that Egypt had made earlier in the conference. In his May 22 statement at the conference, Hisham Badr, Egyptian assistant foreign minister, said his government was “extremely disappointed” that consensus had been blocked. Egypt and the rest of the Arab Group were prepared to accept what was presented in the final document on the process for establishing the WMD-free zone, he said. The Arab countries cooperated “to the full” to find a compromise in the final document on a process for establishing the zone, Badr said. In another statement at the closing of the conference, Iran’s Hamid Badinejad, speaking on behalf of the Non-Aligned Movement (NAM), accused the United States of blocking consensus to “to safeguard the interests of a particular nonparty of the treaty,” Israel, which he said has “endangered the peace and security of the region by developing a nuclear weapons capability.” He said that NAM states were ready to join the consensus on the proposed language for the final document despite “dissatisfactions” with sections of the text, such as the ones on the pace of disarmament. At issue was an agreement from the 2010 review conference to hold a conference by 2012 on establishing the WMD-free zone. That conference was not held due to differences over the scope of the agenda and other issues (see ACT, December 2012), prompting countries in the region to call for a new process to establish the zone. The proposed zone would cover the 27 Arab League countries, Iran, and Israel. All of the countries except Israel are parties to the NPT and participated in the review conference. Israel attended as an observer. The draft final document called for the UN secretary-general to convene a conference by March 1, 2016, aimed at “launching a continuous process of negotiating and concluding a legally binding treaty” that establishes a WMD-free zone in the Middle East. An Egyptian official said in a May 23 e-mail that the U.S. objection is “unjustifiable” and that, “without deadlines, no progress will be made.” The official said that “Israel will continue to refuse to compromise” on the issue of the conference agenda, which will delay progress on the zone. In a May 23 statement, Israeli Prime Minister Benjamin Netanyahu thanked the United States for refusing to accept the draft language that would “single out Israel” and ignore its security interests. In a May 4 statement at the NPT conference, Badr said the 2010 mandate for the current facilitator, Finnish diplomat Jaakko Laajava, “has elapsed” and a “fresh approach” is necessary. Since the 2012 postponement, Laajava has held five consultations with countries in the region as part of an effort to reach consensus on the conference agenda. 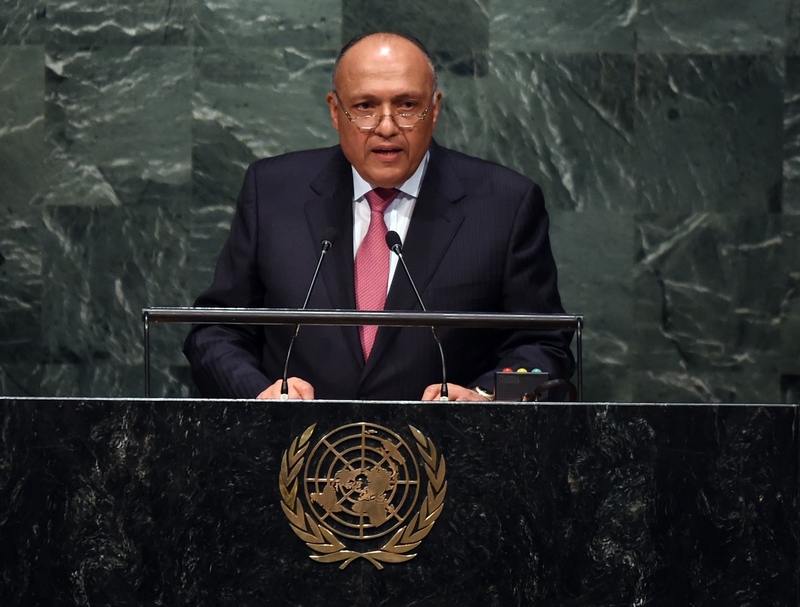 In his statement, Badr said the UN secretary-general should convene the conference within 180 days of the adoption of a final document at the NPT review conference.